Field school at Ferry Farm. On Friday, June 8, I made the short journey from my home to George Washington’s Childhood home at Ferry Farm, in Fredericksburg. 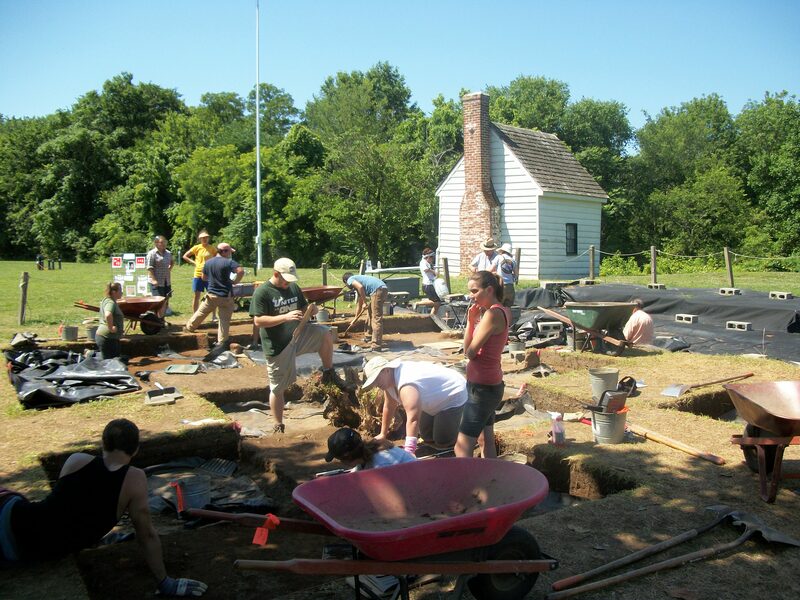 Currently, the archaeologists at Ferry Farm are excavating in the yard around the Washington Family home and conducting a field school, with participants from Virginia Commonwealth University (VCU) and the University of South Florida (USF). The excavations are directed by Ferry Farm Archaeologist/Artifact Analyst Laura Galke, with assistance from James Nyman, a Ph.D. student at the University of North Carolina, Chapel Hill. I am the instructor on record for the VCU field school students, and Dr. Phil Levy of USF is the instructor of the USF students. My job is made easier with the able and dedicated help of Karen Price as my teaching assistant for the VCU students; Karen recently obtained her master’s degree from the University of London’s Institute of Archaeology. VCU student Courtney Bowles and Dr. Means begin scanning the 20th century concrete feature. The goal of our scanning project that day was to try scanning features uncovered as part of this year’s field investigations, as well as to try and scan artifacts recovered by field school students. I was assisted in this effort by project team member and VCU student Courtney Bowles, who is participating in the field school, and USF graduate student Mickey Clark, who is also part of the field school. With our 100-foot extension cord, a surge protector with a 12-foot cord, and a handy outlet only 85 or so feet from the excavation area, we were able to set up our NextEngine scanner on a sturdy tripod and attempt to record two 20th century features: a cylindrical concrete feature that may have supported a fence post, and a utility trench. I borrowed a small folding table from my home for the laptop and one of my larger umbrellas to shade the scanner—and features—from direct sunlight. USF student Mickey Clark shades our initial feature scanning effort. 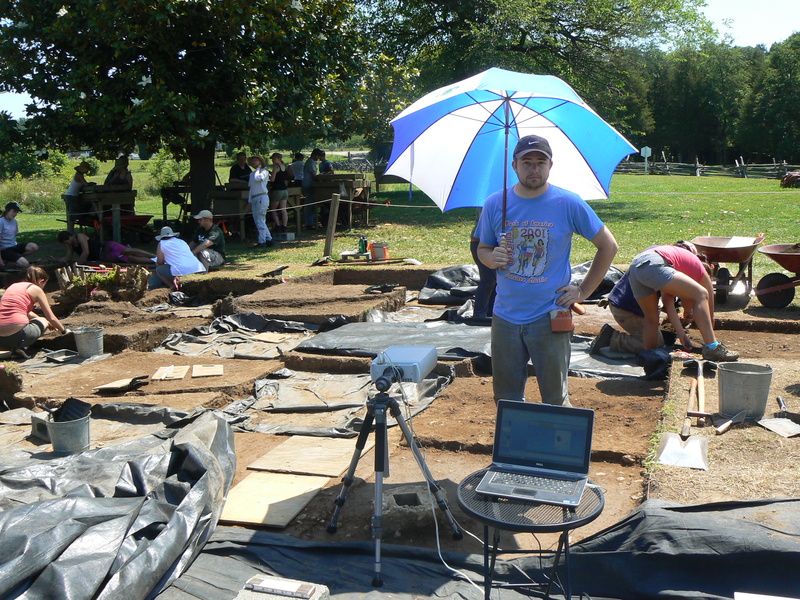 We knew from our experience at the Huntsberry excavations near Winchester, Virginia, that direct sunlight would interfere with our scanning efforts. Alas, the large blue-and-white umbrella—while picturesque—proved inadequate to the task of blocking out sufficient sunlight (it was a beautiful day), and we needed the help of USF and VCU field school students to shade our scanning efforts with some black plastic. Concrete feature (left) and partial digital model (right). Our results were less than stellar for scanning the two features but were definitely promising. Clearly, it would be best if we attempted to scan again when there was less direct sunlight. The director of the archaeology program at Ferry Farm, Dave Muraca, suggested that we consider an early morning scanning effort. 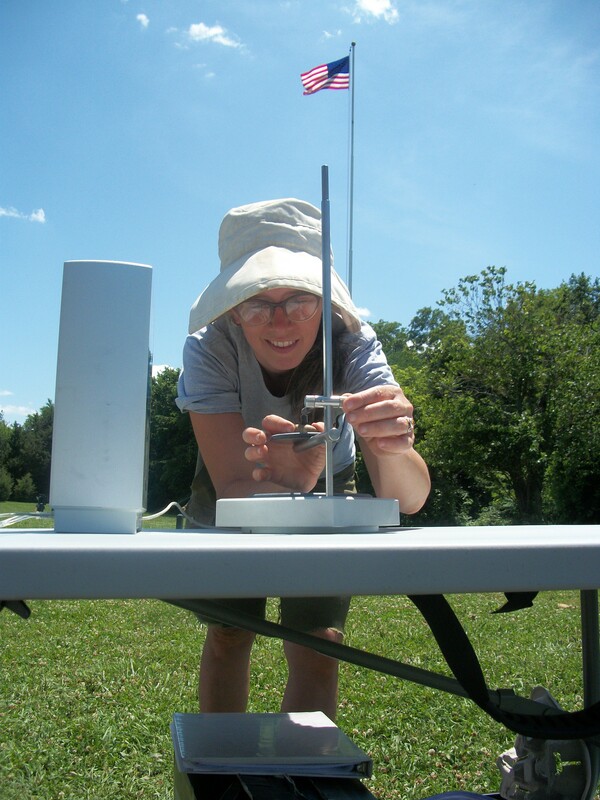 VCU student Courtney Bowles prepares the Minie ball for a patriotic scanning effort. Our attempt to complete a scan in the field of a Civil War-era Minié Ball recovered just the day before by VCU students Ian Salata and Beth Reid was completely unsuccessful. We set up the scanner on a portable table and covered the scanner and Minie Ball with a plastic tub to block out the still abundant sunshine. Unfortunately, the scanner simply became too hot to function properly. We did try shading the setup with the handy large blue-and-white umbrella, but to no avail. With our next field scanning effort, we will set up in the shade and put ice packs under the tub near the scanner—a suggestion made recently by someone at one of my public talks and, sadly, I do not recall that individual’s name. While not a fully successful effort, our project is tasked to find the limitations as well as the potential of the NextEngine scanner for its employment as an archaeological tool. This was one of those days that emphasized the scanner’s limitations.